Former UFC Middleweight Champion, Brazilian Jiu-Jitsu World Champion in 1999, 4x Brazilian National Champion, 2005 Pride FC welterweight tournament finalist. He will be at BTT Austin teaching seminars and sharing his wealth of knowlege and experience with all of us. Leader of BTT Juiz de Fora. He received his black belt in 2001 from Sergio “Bolao” Souza. 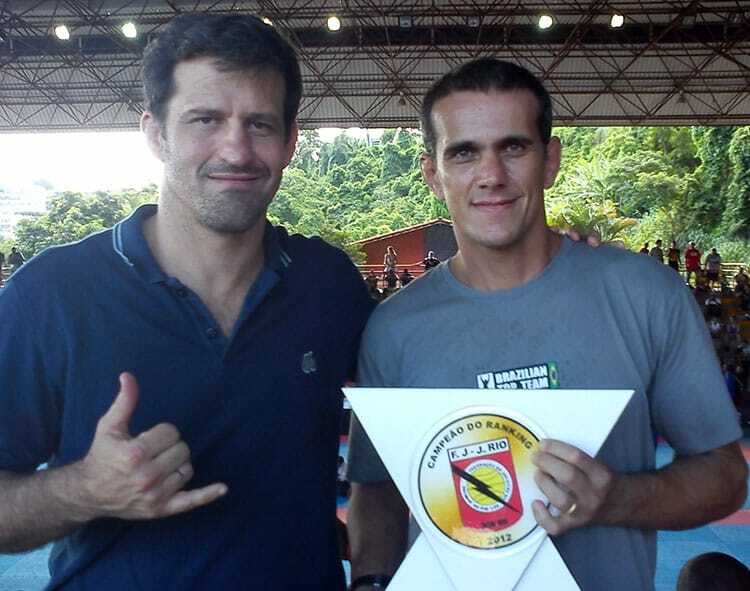 He has several notable black belt students that have gone on to accomplish great things in Jiu-Jitsu; 2-time Brazilian National Champion and featherweight world bronze medalist Leonardo "Cascão" Saggioro, 2x world champion Bernardo Faria and of course our own Diego Gamonal all trained by Professor Marques. from Professor Ricardo Marques of BTT Juiz De Fora. The perfect technique is one without much effort applied at the right time in the right direction.